Flowers were placed upon Haik Hovsepian’s grave during a memorial service in Tehran on Sunday. Memorial services are being held in Tehran, London and California to mark the 20th anniversary of the death of Haik Hovsepian, an Iranian pastor hailed by many Christians as a martyr. Hovsepian vanished on January 19, 1994, three days after his protests helped to secure the release of fellow Iranian pastor Mehdi Dibaj, who had been imprisoned for 10 years and sentenced to death for apostasy. Hovsepian, 49, was found with multiple stab wounds to the chest and later buried in an Islamic cemetery after police claimed they had been unable to identify his body. His family were eventually notified of his death on January 30 and arranged a Christian reburial. His death hit global news headlines around the world due to his prominent role in Iran’s Church. The pastor had not only been outspoken in his defence for Dibaj, but also against a perceived lack of religious freedom in Iran in general. In November 1992, he invited the UN’s Human Rights Special Representative for Iran, Reynaldo Galindo Pohl, to mediate “true religious freedom” in Iran, based “not on ethnic or religious identity, but on personal conviction”. The pastor also refused to sign a document stating that Christians in Iran enjoyed full religious freedom. An ethnic Armenian, Hovespian’s first role as pastor came at the age of 17, when he assumed the leadership of a church in Tehran’s Majidieh suburb. Following his marriage to Takoosh Ginagosia in 1966, he then pastored Gorgan Church in north Iran. In 1969, the couple were involved in a severe car accident, which claimed the life of their six-month-old son. The couple were also badly injured and doctors feared they might never walk again, but they made a remarkable recovery and, several months later, returned to Gorgan Church, where they served for a further 12 years. They moved to Tehran in 1981, when Hovsepian became superintendent of the Assemblies of God (AOG) Church in Iran. In 1986, he was appointed the Council of Protestant Churches’ first chairman. Hovsepian was survived by his wife and their four children, Rebecca, Joseph, Gilbert and Andre, all of whom now live in California. His family are holding a public memorial service on Saturday (January 25) evening at Glendale Presbyterian Church in Glendale, California. 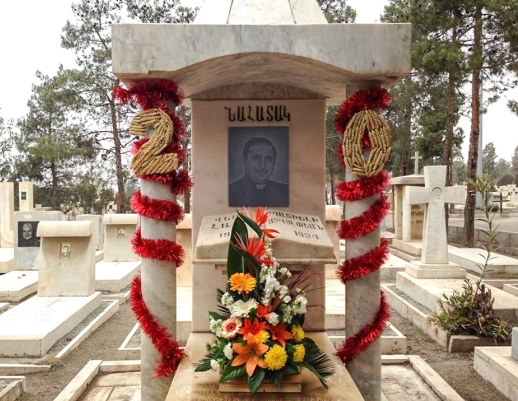 A memorial service was held in Tehran on Sunday (January 19) and flowers were placed upon Hovsepian’s grave. Meanwhile, the Iranian Church in London plans to hold a celebration in the summer to mark the deaths of Haik Hovsepian and two other pastors killed that year in Iran. Has the situation changed for Christians in Iran in the past 20 years? 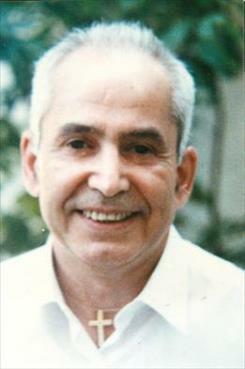 Hovsepian was one of a number of Christian pastors who disappeared, and was later found dead, in the early ’90s. Others included Mehdi Dibaj, the pastor whose freedom Hovsepian had fought to attain (who, six months after his release was abducted and killed), Tateos Mikaelian and Bagher Yusefi. Hovespian’s eldest son Joseph, 40, told World Watch Monitor that the number of Christians in Iran has “grown significantly” since his father’s death, but that “persecution continues and in some respects has even increased”. Mehdi Dibaj, whose freedom Haik Hovsepian had fought to attain, was killed six months after Hovsepian. An Iranian Christian, whose name is being withheld to protect his security, added that Iran today is a different prospect for Christians than at the time of Hovsepian’s death. He said that Iranian Christians continue to fear persecution, but that the persecution takes a different form. “There has been a change in the approach of the government,” he said. “Twenty years ago, the approach was much more brutal: people were killed for becoming Christians, and this would happen inside and outside the country. Last year, World Watch Monitor reported that, according to the International Campaign for Human Rights in Iran (ICHRI), Christians in Iran faced “systematic persecution and prosecution”. The ICHRI report, The Cost of Faith: Persecution of Christian Protestants and Converts in Iran, claimed that, “despite the Iranian government’s assertions that it respects the rights of its recognised religious minorities, the Christian community in Iran faces systematic state persecution and discrimination”. Meanwhile, the UN’s Special Rapporteur on Human Rights in Iran, Dr. Ahmed Shaheed, noted in September 2012 that more than 300 Christians had been arrested and detained since 2010, while at least 41 were detained for periods ranging from one month to over a year, sometimes without official charges. Some predicted an upturn in fortunes for Iran’s Christians after the installation of Hassan Rouhani as president in August, but, despite the release of a few Christian s from jail, many more are still detained. 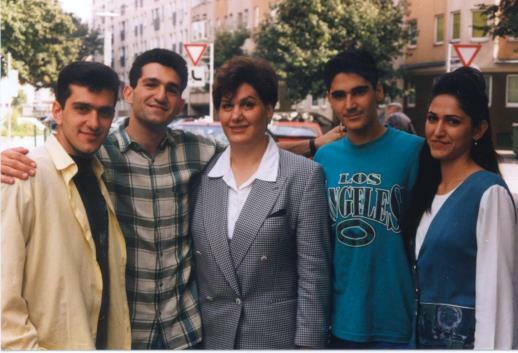 The Hovsepian family pictured shortly after they left Iran in 1999. In 2007, Haik Hovsepian’s wife and children founded Hovsepian Ministries, a non-profit organisation which supports Iranian Christians around the world through advocacy, church visits and speaking engagements. His widow Takoosh, who led the family out of Iran five years after her husband’s death, is in the throes of writing her first book and also spends a lot of time counselling other widows. “My mother is a living testimony, and one of those whose life speaks for itself,” said Joseph Hovsepian. “After Haik’s martyrdom she was in the spotlight for millions of Christian and non-Christian Iranians who learnt about Haik’s brutal death. She has not neglected to tell her story to the world. Edward Hovsepian, 64, the eldest of Haik’s three younger brothers, who are all pastors, took over as superintendent of Iran’s AOG churches after his death. After a visit to London in 2003, he was unable to return to Iran and became head of the Iranian Church in London, where he still works as senior pastor. Haik’s daughter Rebecca, 43, told World Watch Monitor the family had clung on to their Christian faith despite her father’s death. Article18’s Mansour Borji said Haik’s death was a “modern example of Christ-likeness”. “For many church members who experienced those days, his death was a reminder of Christ’s sacrificial death and a call for further commitment and faithfulness,” he added.